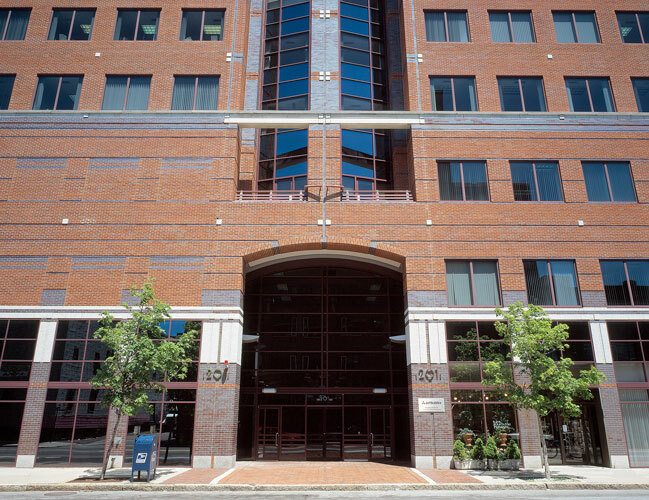 The Davis Companies execute 27,600 s/f in leases at 40 Richards Ave.
CAMBRIDGE, MA – November 1, 2017 –The Davis Companies (TDC) today announced that it has executed a 47,500-square-foot lease extension with Quintiles IMS at 201 Broadway, a 120,000-square-foot, Class-A office building located in the heart of East Cambridge adjacent to MIT and numerous pioneering life science and technology companies. A longstanding tenant at 201 Broadway, Quintiles IMS is an award-winning supplier of integrated information and technology solutions assisting healthcare providers to improve patient treatment and care. 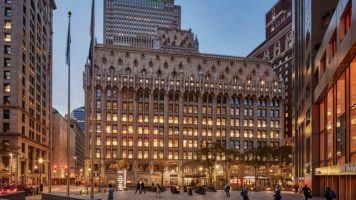 At the same time, TDC has disclosed its plans to improve the lobby and common area of 201 Broadway. The renovation designed by Elkus Manfredi Architects includes the construction of a new exterior building entrance and canopy, an upgraded main lobby and common area, the addition of a new bike room with changing rooms and showers, and a new collaboration lounge and seating area off the lobby. 201 Broadway is also home to: Mitsubishi Electric Research Laboratories, the North American subsidiary of the corporate research and development organization of Mitsubishi Electric Corporation; Jobcase, a social media platform dedicated to connecting employers to potential new employees and vice versa; Yankwich & Associates, a local law firm specializing in intellectual property law; and, Synchogenix Information Strategies, Inc., which provides strategic writing and related services for the biotech and pharmaceutical industries. TDC is well-known for its repositioning expertise, which has attracted top companies to office buildings across the Eastern U.S. 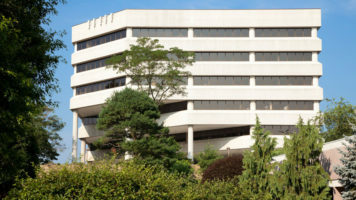 Among the numerous repositioning projects that TDC has completed in its 41-year history are: The Westport Center for Health, a 38,000 square foot, Class-A medical office campus that represents the largest collection of medical providers in Westport, CT; 67 South Bedford Street in Burlington, MA, a four-story, 176,886 square foot office building; One Cabot Road in Medford, MA, a four-story, 308,954 square foot building just four miles from Boston; The Xchange at Bedford, an eight-building, approximately 475,000 square foot campus in Bedford, MA; and, the Union Trust Building in Pittsburgh, PA, a 460,000 square foot mixed-use building which TDC and Elkus Manfredi Architects transformed into a modern business destination, while retaining the building’s historic charm.